I've been dating a new girl for over four months now. She bears a striking resemblance to Sandra Oh, the actress who appeared in Under the Tuscan Sun, Sideways, and Grey's Anatomy. She constantly has people commenting to her on her resemblance to Sandra. Further, when we were backstage at an INXS concert, people were treating her "special", and someone apologized for interrupting "such a famous actress". I suppose if Sandra Oh did go to an INXS concert, she would be backstage. 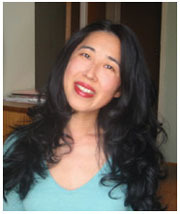 I told Stacie to go with it, but she had to admit that she wasn't Sandra Oh. In 2005, Sandra was on People's 50 Most Beautiful People. The one on the left is cuter.